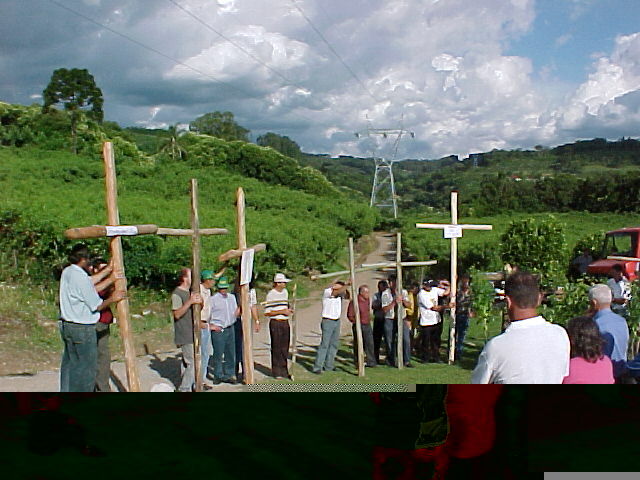 A ceremony has been celebrated in memory to Don Domenico Munari, at Bento Goncalves, in the Linea Palmeiro, on the 28th of December 2003. 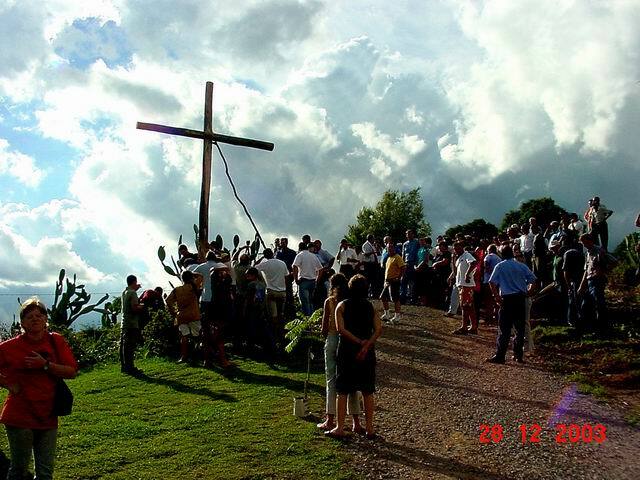 A Wooden Cross to his memory has been raised during the event. The day when Don Murari died was on the 29/3/1878; about 100 people attended the celebrarion. Don Domenico Munari was born at Gallio (VI), and he became Priest of Fastro (Arsié BL). When a group of people emigrated from Fastro to Brazil, on the country of Rio Grande do Sul, he decided to accompany them. The group of 275 people, left from Bordeaux and after the having wrecked at La Rochelle, it got to Brazil on the first half of 1877. The ceremony has been directed by the Priest Remi Gotardo Casagrande, from San Marcos de Farroupilha. Mr Antonio De Cesaro has been living there since 74 years ago and he has intervened during the celebration. He told the stories that his grandmother Teresa Bellaver had told him about the death of the Priest at home and about the place where he had been buried. Also Mr Egidio Dall0'Agnol has spoken during the ceremony. His grandfather had left from Fastro and his great grandfather had left from Gallio; they lived the legend of that group of emigrants. Mr Egidio is now writing a book about the biography of Don Munari, and about the tale of the events lived by those people. He has read a message sent from the community of Fastro, weitten by Dario Dall'Agnol, former Mayor of Arsié. Mr Nestor Foresti has spoken in name of "Associação Caminhos de Pedra", reading some parts of the letters sent by Don D. to Italy, about the difficult situation found in Brezil. 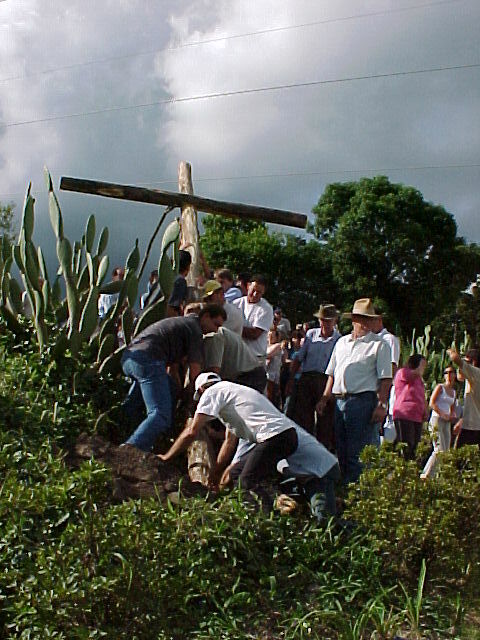 At the end of the ceremony, the representatives ot the 9 chapels belonging to the Parish Church of San Marcos have brought other smaller Wooden Crosses and little trees, in memory to the event.